Disney Goddess: How to Kick-Off a 40th Birthday! How to Kick-Off a 40th Birthday! Mickey Ballons in their "original state" floating away! It’s official, Disney World is now middle aged. Unlike myself who is also knocking on 40, Disney ages very gracefully! In fact, you could say that with all the beautiful resorts, parks, rides and attractions that have been added over the last 40 years this place only gets better with age! 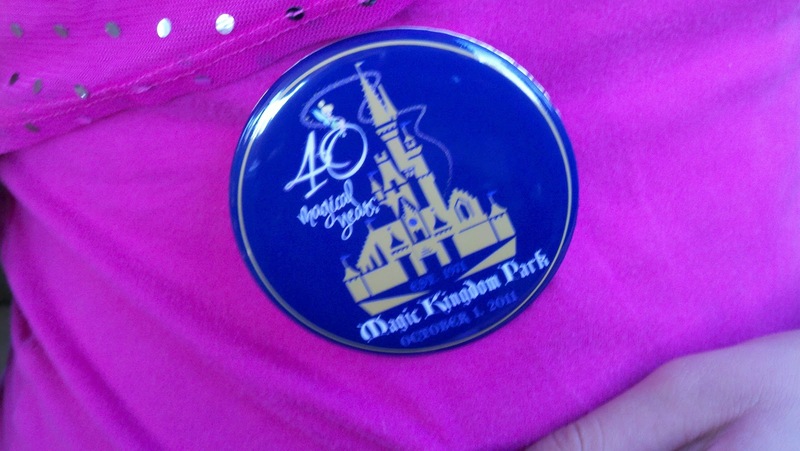 I showed up early at the gates of the Magic Kingdom on October 1, 2011 along with about 30,000 of my closest friends! Some even got there at 6 am to be able to buy a limited edition commemorative pin! My 10 year old and I were not so inclined. We were early enough for the free button they were passing out though! Then the moment we had all been waiting for- the mayor of Main Street came out to open the park in 40th birthday style! 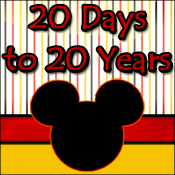 Just a reminder Disney World: Time to start planning the 50th!